The Hollinden Team often has clients looking for a home in a central location. We just picked up 1221 Witawanga Avenue as our newest home for sale in Lyndon. We think that the area is great as you are close to shopping at the malls on Shelbyville Road as well as the eclectic shops in Westport Plaza. In this area, most homes are older and 1221 Witawanga is only 9 years old. This was a great house that sold in 38 days. Contact the Hollinden Team today to see how we can help get your home sold. In a modern home, you would the floor plan to be open and this home would fit that bill. 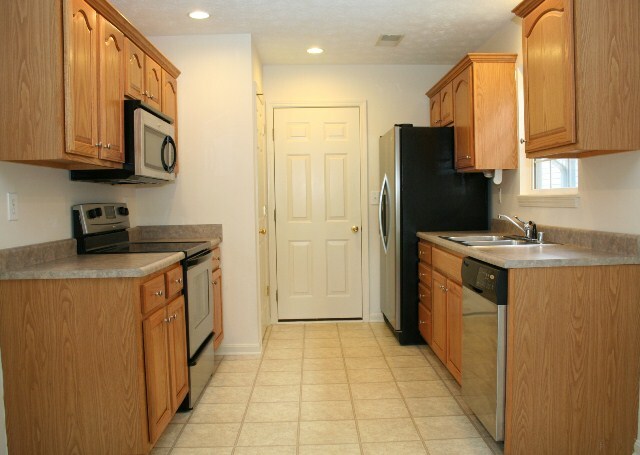 You also desire a 2-car garage that is attached enabling you to walk in the kitchen with an armful of groceries. The kitchen has been upgraded with Stainless Steel appliances and features a convenient side by side refrigerator with water and ice through the door. 1221 Witawanga has the normal 3 bedrooms; but in a modern home the master bedroom is all important. 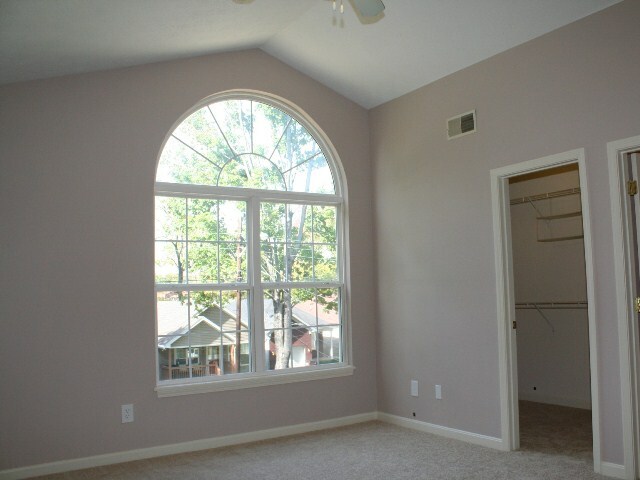 This master bedroom is unique with a large Palladian window to let in natural light and a nice walk in closet. The master bath is only accessed from the master bedroom giving you lots of privacy. There is a second full bathroom on the second floor for the other two bedrooms to share. The laundry room is handily located on the second floor in between all of the bedrooms. After all, this is where the dirty clothes originate. Having instant mature shade is not common with relatively new homes for sale. Since 1221 Witawanga was built in between some older homes, we reap the benefits of older trees. There is even a walnut tree on the rear of the property. Did we mention that the back yard is has a wood fence? This will enable you to keep an eye on Fido. If you have more interest in 1221 Witawanga, or other homes for sale in Lyndon, give Tim Hollinden at The Hollinden Team a call at 502-429-3866. For all other homes, our home search tools let you narrow your focus, just as a Louisville REALTOR would do.